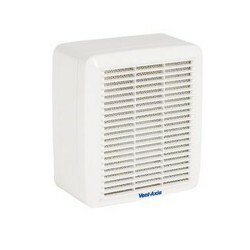 Vent-Axia 256320 Centrif Duo DP at UK Electrical Supplies. The Centrif Duo range is a series of 100mm centrifugal extract fans for the domestic environment. The Centrif Duo is for kitchens and utility rooms and large bathrooms. The Centrif Duo has a 100mm circular spigot. The Flush mounting kit enables the spigot to be converted to a side outlet. The spigot also encloses a built-in, spring operated backdraught shutter. There is convenient access for wiring which can be surface or recessed.